How to Cable Manage an Office Bench Desk? Its essential to cable manage an office bench desk properly from the start. This not only creates a tidy under desk set-up but makes adding additional power or data modules easy, and should your system go down it would make finding the problem easier. It’s always important to check the plug first before moving onto any hardware, so having a clean and neatly managed cable tray is essential. 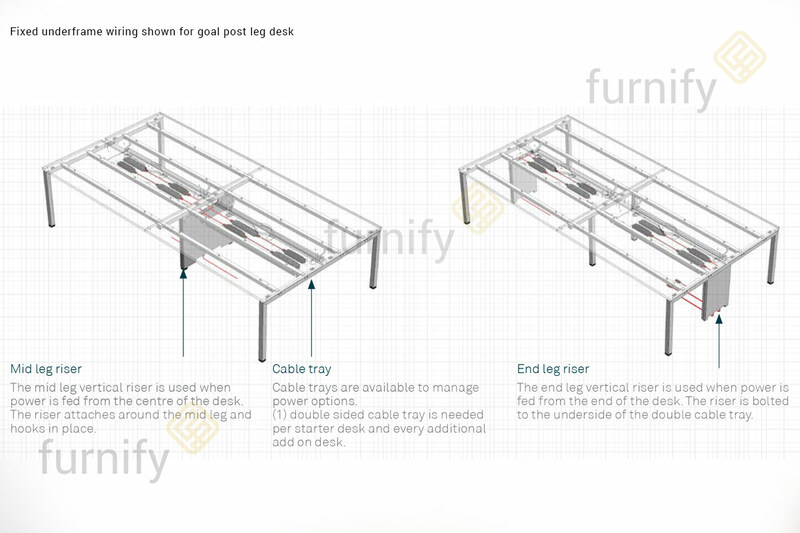 Whether you are in the process of purchasing new office desks or have just decided to sort out the existing cable management problem, then you have come to the right place. If you have been stuck in an outdated office for a long time and are undergoing refurbishment and starting with new desks then well done for choosing to do it correctly. Starting from the bottom-up when installing new workstations will not only be hassle free but should also give the IT person the opportunity to manage it as it will be their responsibility once it is all up and running. 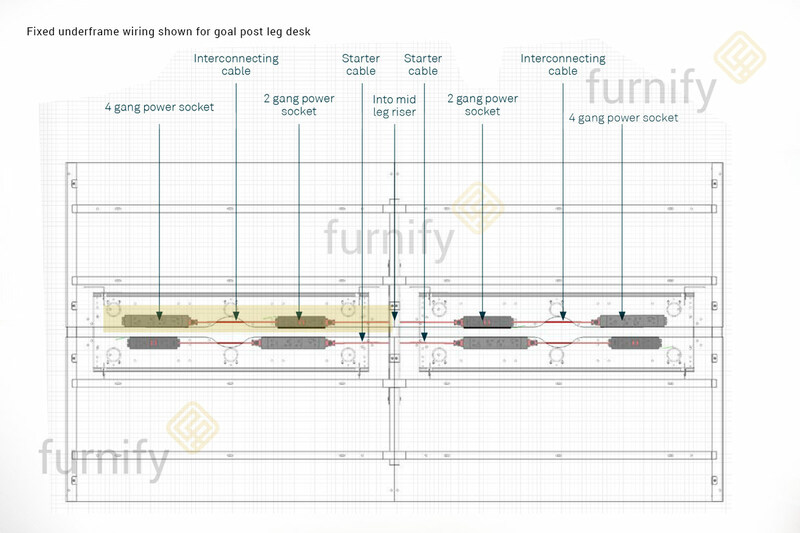 Cable managing in new modern office desks and bench systems couldn’t be more comfortable and less frustrating. They are designed to merge the physical world and digital world seamlessly. 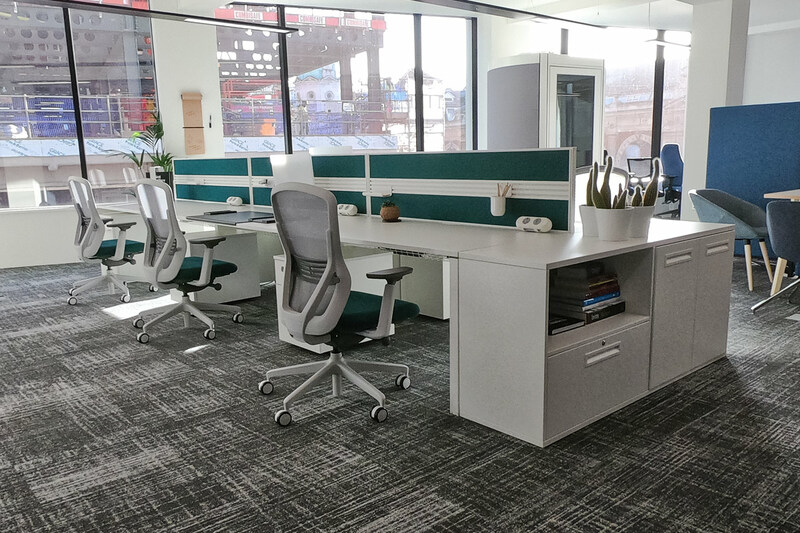 Many good quality desk solutions offer sliding desktops, integrated cable trays and cable risers to support each user's desk power and data requirements. When starting the process, it's essential to know and understand the British standards for electrical systems in office furniture and educational furniture. All electrical equipment and installations being added must be designed and tested to ensure their safety and to comply with statutory regulations. In the case of power management in office furniture, the relevant standard for power modules connected to a mains supply by means of a 13A plug is BS 6396. 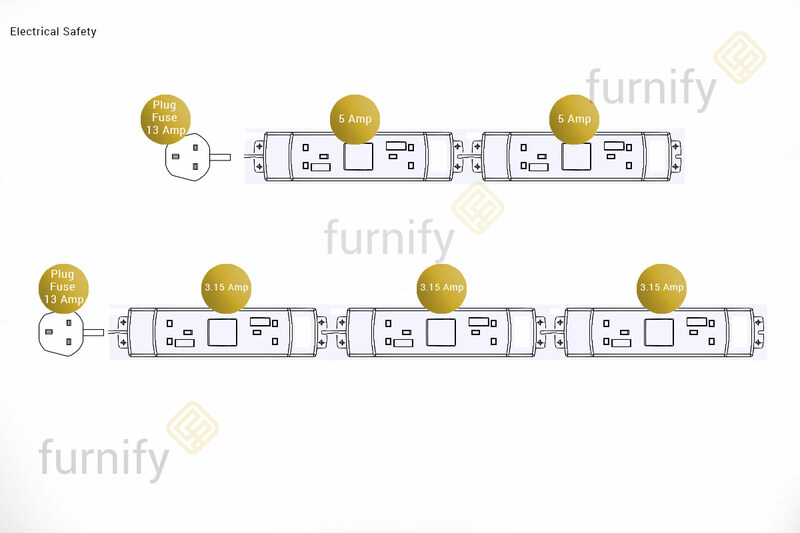 The illustration below shows the maximum number of power module sockets that can be connected from a single power supply cable (or wall socket) fed from a 13 Amp BS 1363 plug and their relevant fuse ratings. 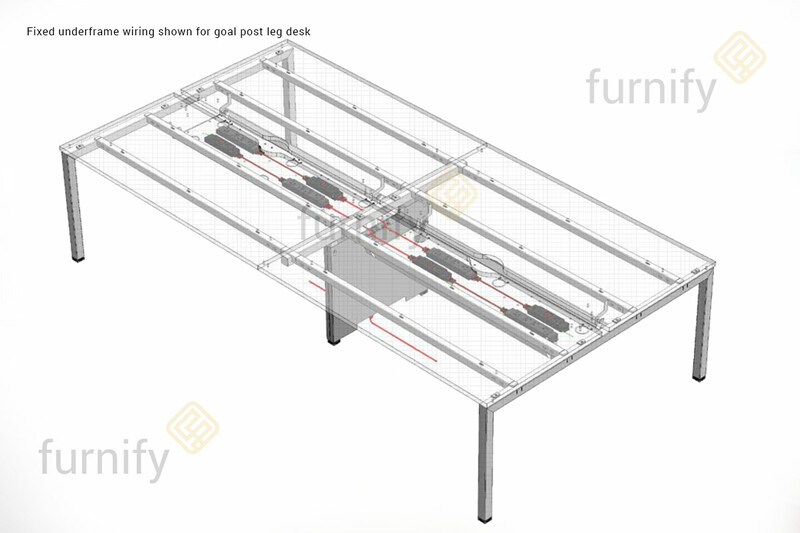 The diagram below shows fixed underframe wiring on a four-person goal post bench desk. Each sliding desktop's electrical system is comprised of a starter mains cable with a 13A UK plug on one end and a GST 3-pole connector on the other end. The GST 3-pole connector plugs into a 2 gang power socket, 3.15A power module, this is then linked via connector cable to a 4 gang power socket, 3.15A power module to complete the set-up. Note each desk is equipped with a total of 6 power sockets as this is the limit to one mains outlet. Below is a bird's eye view of the above power module configuration with annotations. The bench desk features a leg riser that neatly hides the mains cable that leads to the floor box.